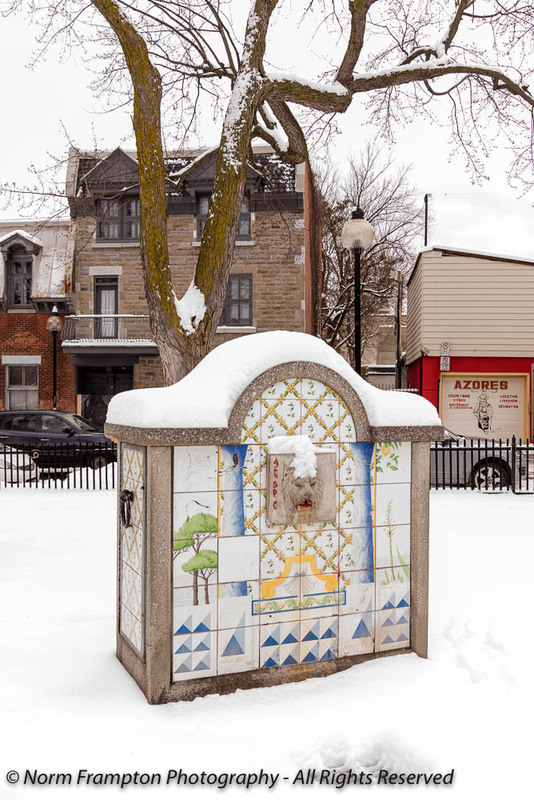 On the western edge of Montréal’s Plateau Mont-Royal borough you’ll find Le Quartier Portugais or Little Portugal. 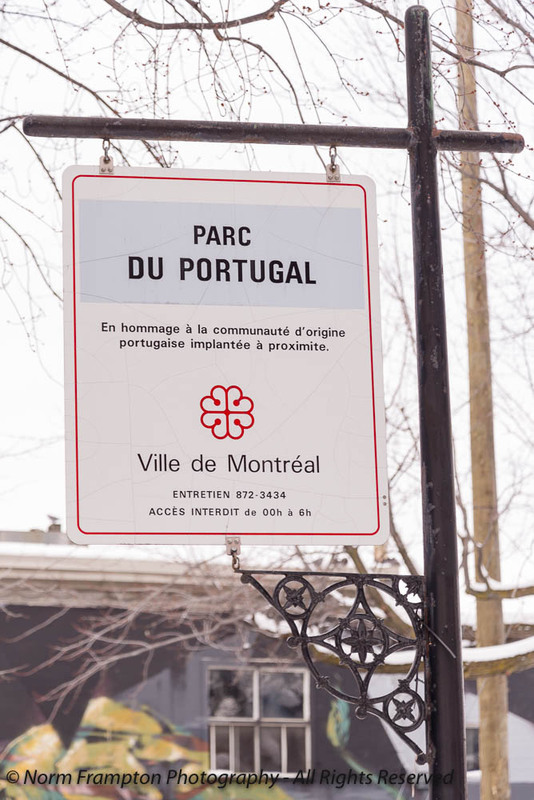 Over 60,000 people of Portuguese descent call Montréal home, making it the second largest Portuguese community in Canada after Toronto. The biggest influx came in 1950’s as people fled poverty and post-war political instability in their homeland, looking for growth, prosperity, and opportunity in Canada. 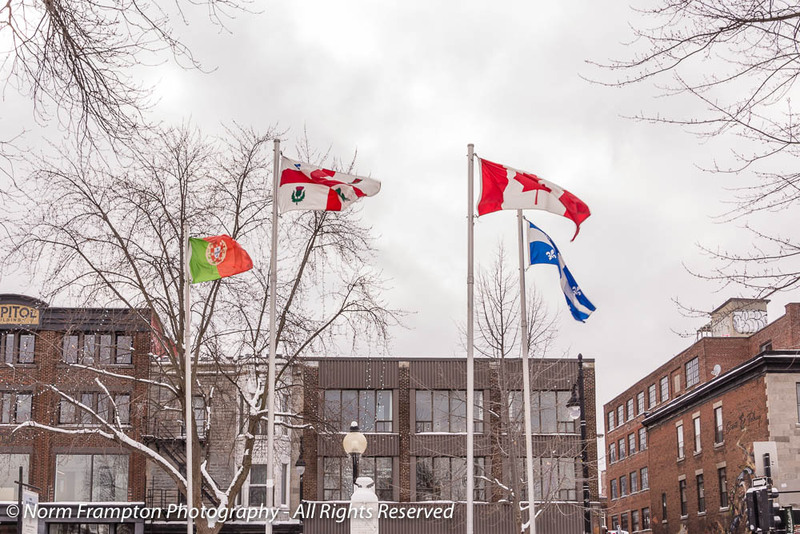 Many of those immigrants settled in a few square kilometer stretch bordering Saint-Laurent Boulevard between Pine Ave and Marie-Anne that had been populated in previous immigration waves by Italians, Greeks, and eastern European Jews. 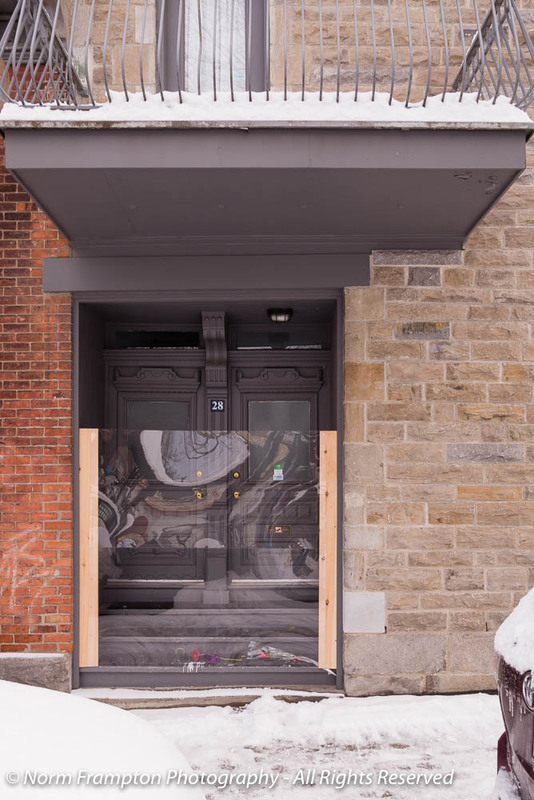 Over the past 50 years or so the Italians gradually moved further north up Saint-Laurent, and the Greeks and Jews migrated west, but the Portuguese stayed put; adding their shops, restaurants, and traditions to an already eclectic neighborhood. 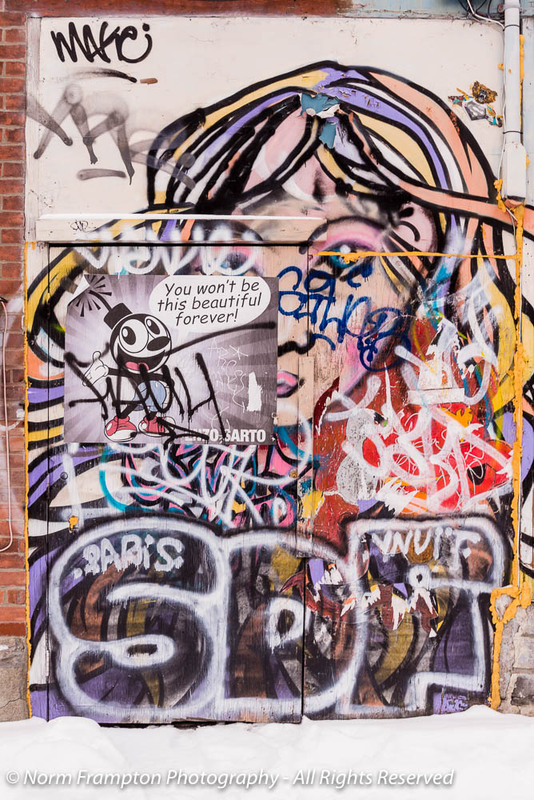 It’s a part of town that has so much to offer from a vibrant street art scene, to live music venues, with a varied mix of great restaurants and shops, that so many of us, myself included, just sort of take it for granted. 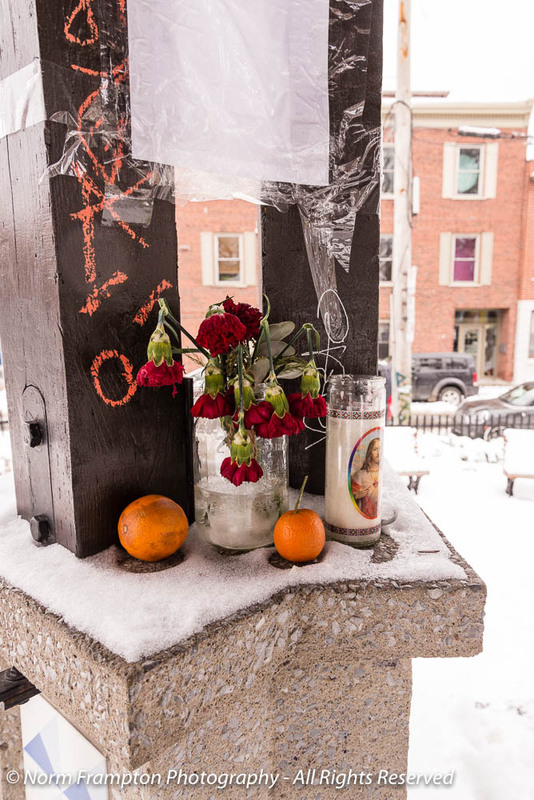 Recently however the area has been rediscovered by many due to the passing of one of its most famous long-time residents and one of the city’s favorite sons: poet/songwriter/performer Leonard Cohen. Though in recent years Cohen lived primarily in Los Angeles he still spent a fair amount of his time at his modest home in the Plateau, right across from le Parc du Portugal. 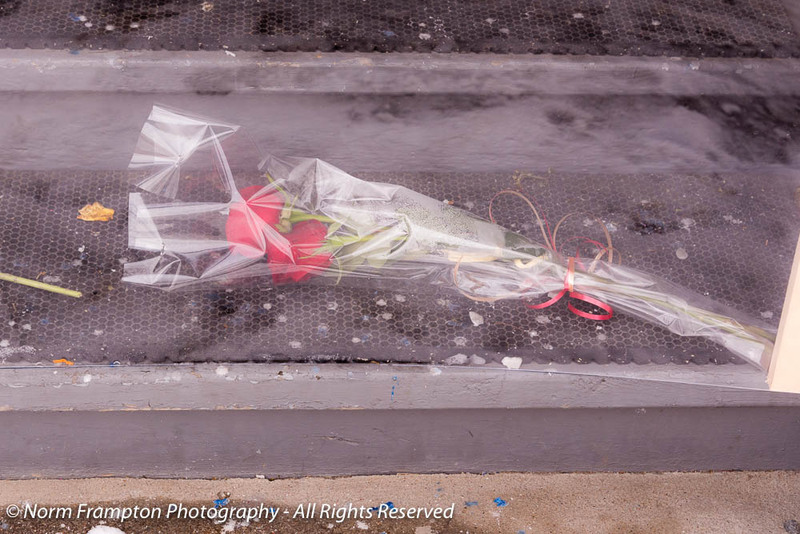 When the news broke the day after his death, mourners began to congregate spontaneously in the park; paying tribute by reading his poems, playing his music, lighting candles, leaving flowers and notes of thanks and prayer on his doorstep. It went on for days and then weeks. Now as the cold winter weather sets in, the stream of visitors looking to pay tribute seems to be tapering off. And judging by the number of relatively fresh flowers I saw in the park gazebo earlier this week, people may be getting the message but they’re still coming. And I suspect that they will for quite a while yet. In case you’re interested you can read more about Leonard Cohen’s connection to his hometown in this short article here. 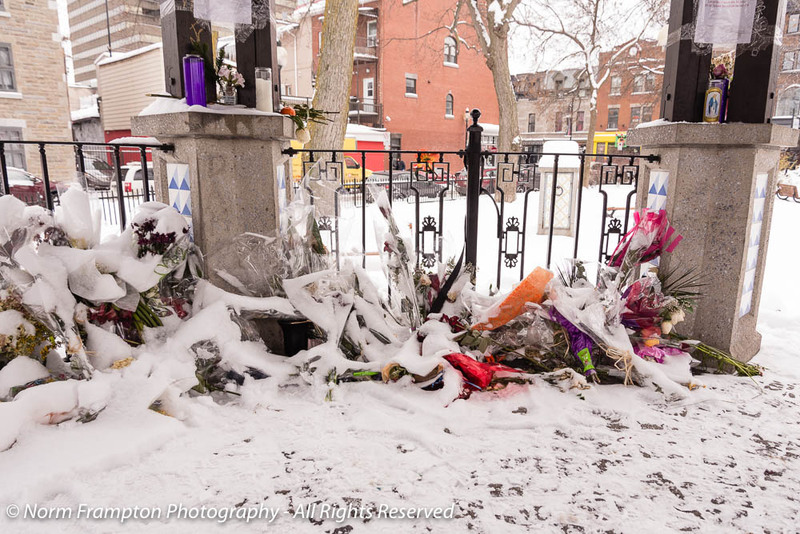 Gallery | This entry was posted in Photography, Thursday Doors and tagged Doors, Famous Montrealers, Leonard Cohen, Little Portugal, Montreal, Parc du Portugal, Plateau Mont Royal, Quartier Portugais, Québec, Thursday Doors. Bookmark the permalink. I like the bull fighter especially. I liked this post and was happy to see your tribute to “one of your own,”the fine musician Leonard Cohen. I love many of his songs. The stone tablet with the beautiful ceramic tiles stood out to me, Norm. It was so pretty! I enjoyed the murals and especially liked how you wrote about the ethnicities found within miles of each other. My youngest daughter lives in German Village part of Columbus Ohio and it is close to Italian Village and other areas which have beautiful buildings and unique qualities. Some of my favorite unusual images from you! Thank you! I never realized there was such a large Portuguese community there, Norm, but I can see the influence in your photographs. When I was in Lisbon there was a lot of street art, both mural and sculpture, to be seen everywhere. Nice that people are still paying their respects to Leonard Cohen. I’m so glad graffiti is now thought of as “street art” rather than “eyesores.” You captured some great stuff — as you always do. Leonard Cohen touched a lot of hearts with his work. It’s so touching that he never cut himself adrift from his roots; maybe that’s why he resonated so deeply with so many people. Thanks Marian. Some of it is still just an eyesore, but there are some truly gifted artists out there producing amazing murals too. You’re right about Cohen. People in his neighborhood all say that despite his fame and fortune he was always humble and appreciative towards his fans. Thanks Angela. That whole neighborhood goes mad every 4 years when the World Cup is on. Everything shuts down on days when Portugal is playing. And if they win, people parade up and down the street for hours. It’s quite a sight. What can I say? Everybody already said it all! 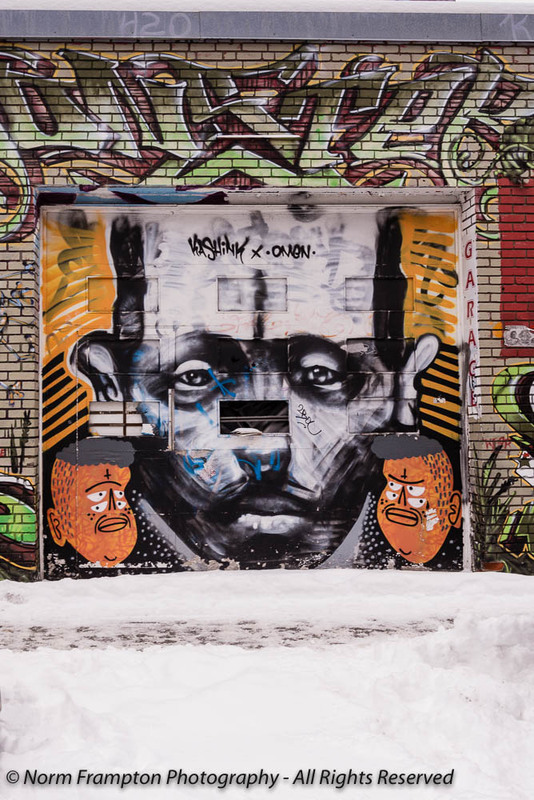 Loved the photos that captured the district; especially all of the street mural and graffiti art. The Cohen tribute was great; didn’t know he had Canadian roots. Thanks for sharing this post. Beautiful tribute to Cohen. The murals are neat, but that whole building done in art is amazing! Thanks Deborah. Yes that whole building is something else isn’t it? It has been abandoned for a while now so it will be interesting to see what happens when someone finally buys it. Wonderful post! I love the story and the pictures. Great photos, Norm. I love the street art, I also like the history and the tribute to Cohen.I think my favorite today might be the Azores garage door. Thanks Dan. Of course I thought you’d like the Azores door – it’s a local family-owned hardware store. Wow, very interesting to hear about this place – thanks Norm! Thanks for this Norm – I loved Leonard Cohen! great post. I love both parts (i)mmigration and LC tribute very much. I captured quite a few interesting murals on this doorscursion – stay tuned. Fascinating tributes to Cohen. That first mural is stunning! 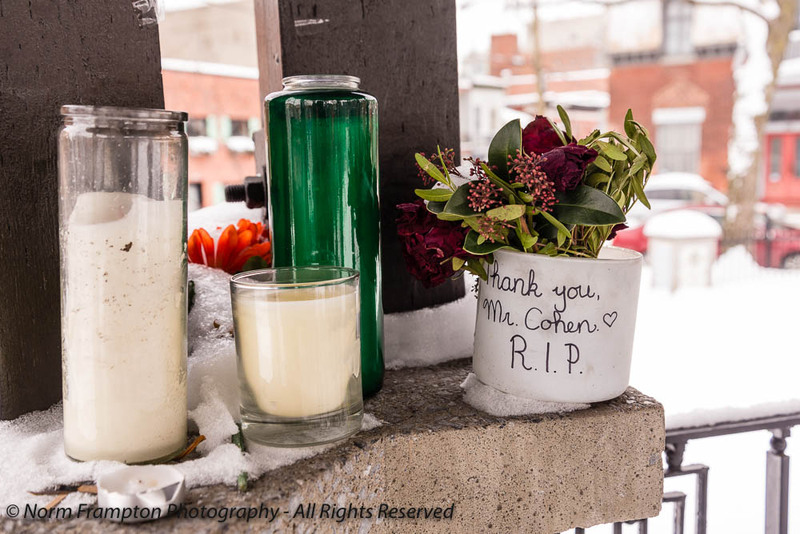 Thanks for letting us have a look into this part of the city with a colorful history – these streets have a distinct character I’m off to get to know more about Cohen’s work. Fascinating post, and thank you for the Leonard Cohen link. Fabulous art, particularly the bullfighter and the door on the corner. Who knew plywood could look so good? Thanks Joey. A few weeks in the Azores sounds pretty good right about now. It was a nasty -25c when we got up this morning. It sounds like your Little Portugal is very similar to ours … an eclectic neighbourhood of family owned restaurants and shops. The murals are amazing – especially the bullfighter. At first glance I thought it was a huge statue! The added tribute to Leonard Cohen was very poignant. He was a special talent whose work touched many people. Montreal is right to be very proud. So these murals change year over year? What a clever way to keep attracting the creative community back to both participate and enjoy. What an interesting post! 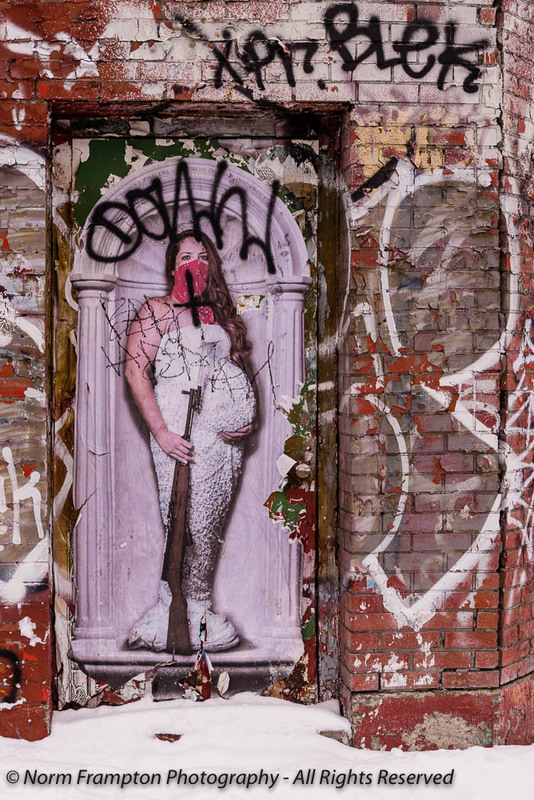 Not sure what to think about the masked pregnant lady in the glamorous dress holding a rifle. That was interesting for sure. And what graffiti! Interesting info on Cohen too! It is a very colorful part of town though. I enjoyed the entire post, but my definite favorite is the bullfighter mural. What a vibrant community! Very cool doors, Norm. Love the art work! Thanks – the whole neighborhood is full of amazing murals. This is a terrific post — full of visuals and interesting tidbits. Thanks for posting! I thought of you and this Thursday Doors site often when we visited London. So many doors, so little time. Will be posting! What a beautiful post Norm. 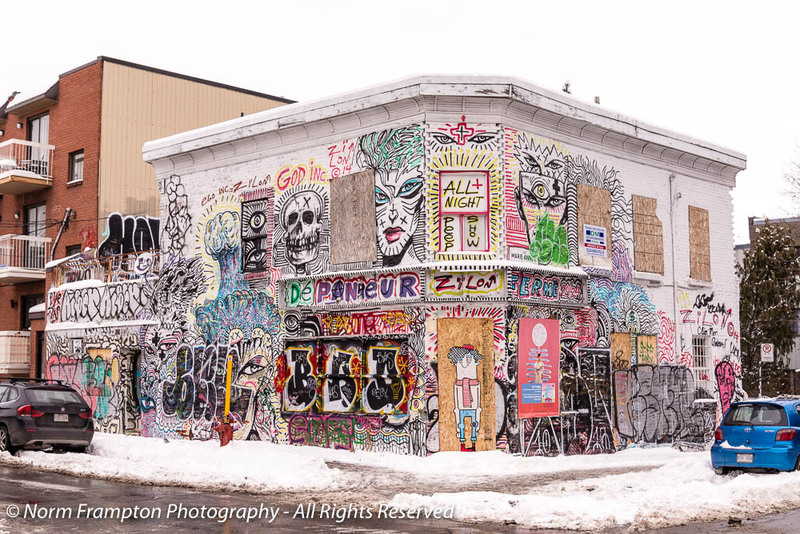 I enjoyed seeing this side of Montreal through your eyes. I don’t know exactly how you are proceeding but the number of characters shouldn’t affect anything. The link you provided here (above) and the one you pasted in the link-up tool were not the same. The one above is correct. The one you used in the link-up tool didn’t work because it seems to be a temporary link that takes me to my own post editor. Make sure that before you post your link into the link-up tool that you save or schedule your post first, and then copy the link to that saved post. What a wonderful post woven with past and present history. May this talented man rest in peace and may this community always feel the pride of him being one of theirs. 🙂 I LOVE the wall mural in the third photo. It is bigger and bolder than life which also describes Mr. Cohen’s talents. A nice tribute to Cohen. Informative, thanks. I’ll come back later to see the details of your post:) Thanks for hosting!